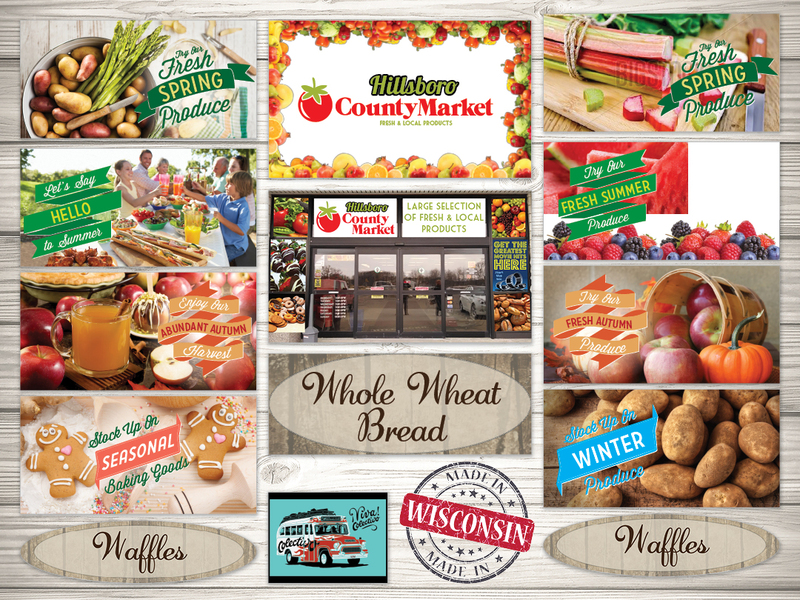 At Hillsboro County Market they pride ourselves on offering our customers a wide selection of products with the highest quality and freshness available. You’ll find a full array of departments including fresh meat and produce, and a delicious bakery and deli. Committed to providing our customers with great value, they offer products you know and trust throughout their store. To reflect their quality products and the commitment to their customers, we have created a logo and brand that carries their message throughout every marketing piece.